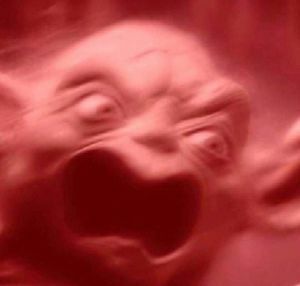 Starts with Luke saying "I know, Father" and ends with Darth Vader saying that indeed Luke is powerful as the Emperor has foreseen. Referenced: Andorians from Star Trek. Luke is gambling that Vader won't kill him. How Luke might have reacted poorly when Vader ignited the lightsaber. Does Vader think of himself as a good guy or a bad guy? The story is more compelling if Vader thinks he can't be saved. Going to the Dark Side vs. going goth. What if: Vader revealed he wasn't Luke's father. Mentioned: the Dread Pirate Roberts from the Princess Bride, Fight Club. What does Vader know about what Luke has been through? Vader could have accidentally killed Luke. Other moments that could have ended the trilogy. The deleted scene where Luke finishes his lightsaber. They put this scene in since that one was cut. Wait, so is Luke's training complete or isn't it? It's like a college stress dream. 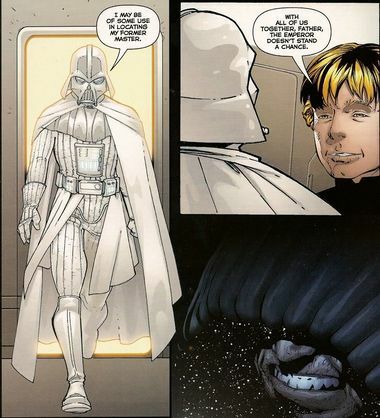 Star Wars Infinities and Vader's white suit. 'Hell' in the the Star Wars universe. Shoutout to future guest of the show Neil Campbell. The Prequels lined up with important transitions in Paul's life. ROTJ is awkward because it's some of the most mature content combined with kiddy stuff. The character of Luke and the acting of Mark Hamill evolve as the movies go on. Luke easily accepts that Vader is his father. Anakin cuts off Luke's hand, just like his own hand etc. was cut off. How much damage Vader has sustained. Referenced: "Dr Who", Krang from the Teenage Mutant Ninja Turtles. 8-DAY-GREEDO call from J. James. In response to Lars' earlier call about Moisture Vaporators, kicking off the heated discussion on the topic. As Star Wars fans are probably aware, "vader" is "father" in Dutch. The Darth Vader pickup shot in this scene features technician Harold Cole portraying Vader. 'Hell' has an entry in the Wookieepedia, but it is an abstract concept rather than a place. "Christian Hell" has become something of a running joke on the podcast and in the SWMLS. The tiny creature pulling levers inside a metal body from the "Doctor Who" universe that Pete is thinking of is the Kaled mutant inside of the Dalek. Paul: (as a newly reformed Vader) I recognize the Western understanding of good and evil. Paul: (quoting his pal Neil) "...see you in hell. Christian Hell!" Paul: (on ranking the Prequels) Do I like green beans more than peas? I guess so.